Hi everyone! It's Cindy Gilstrap and I am so excited to be back for another Team Tuesday! I love working in my art journals. It's the perfect place to play and experiment with new things. Today I want to show you how to combine and layer multiple stencils on a fun art journal page. Start with two colors of paint and cover your pages in a haphazard manner. Stencil the circle shapes from the Field of Eyes Layer Me stencil. Just randomly stencil groupings of the circles. 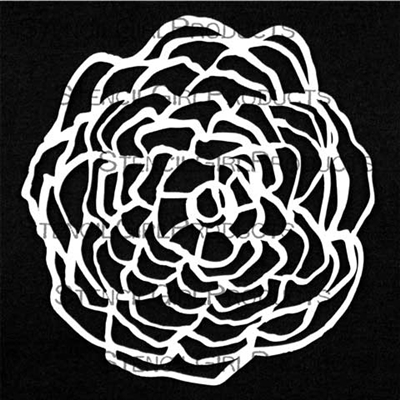 Starting in one corner stencil the Deconstructed Cabbage Rose Stencil and Mask. I placed the stencil hanging off of the corner. 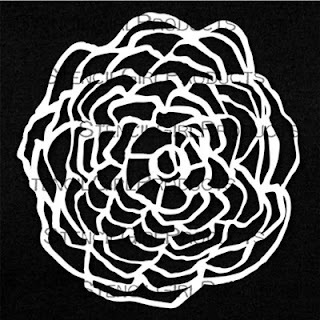 Continue stenciling the Deconstructed Cabbage Rose Stencil and Mask across the bottom of the page spread. 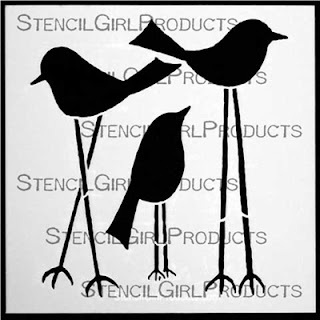 Using the Tall Birds Stencil stencil one bird in a darker color. I used paynes gray. Stencil another bird on the facing page with the same Tall Birds Stencil. To give the birds a "sketchy" use a pencil to sketch around both birds. I used an ebony prismacolor pencil. Start adding detail with a gel pen around some of the stencil shapes and on the bird. I used a Uniball Signo white gel pen. 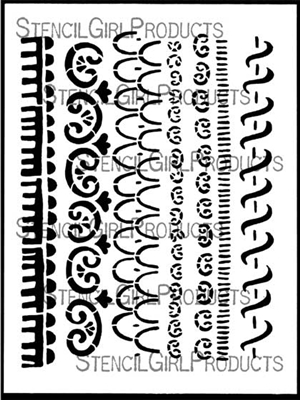 Using the Curliecue Daily Border Starters stencil a border across the top of the pages. 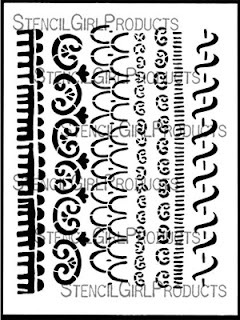 Add details to the border with a gel pen. Continue adding details with the gel pen. Add a quote with a colored pencil. I used the ebony prismacolor. I love the imperfect sketchy look when I write with it. Add accent splatters with watered down paint and a brush. I used the neon red that I used for the flowers and the border. Finish off the edges of the pages with a sketchy pencil border to give the spread a finished look. Here's the finished page. I hope you enjoyed layering different stencils to create a fun art journal page! 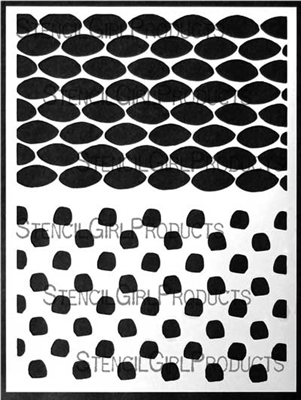 Thank you so much for spending with us here at StencilGirl! I hope you are finding all kinds fun things to spark your creativity. Please stop by and see my anytime at Junque Art.